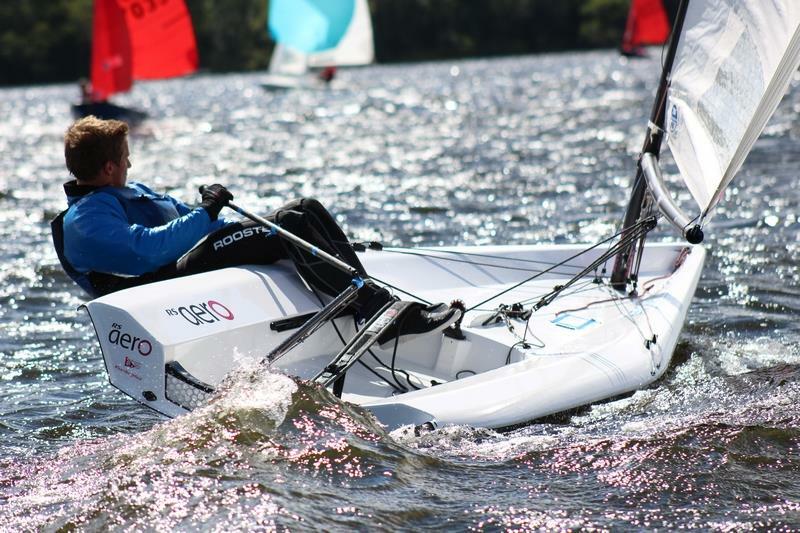 Congratulations to Caitie Atkin for a fine comeback in breezy conditions to win the first RS Aero UK Northern Championship held over the final weekend of Bass Week at Bassenthwaite, Cumbria. Great to see 11 RS Aero entries as part of the much larger overall event! We arrived at Bassenthwaite Sailing Club to find a breeze of about ten knots and very patchy water. 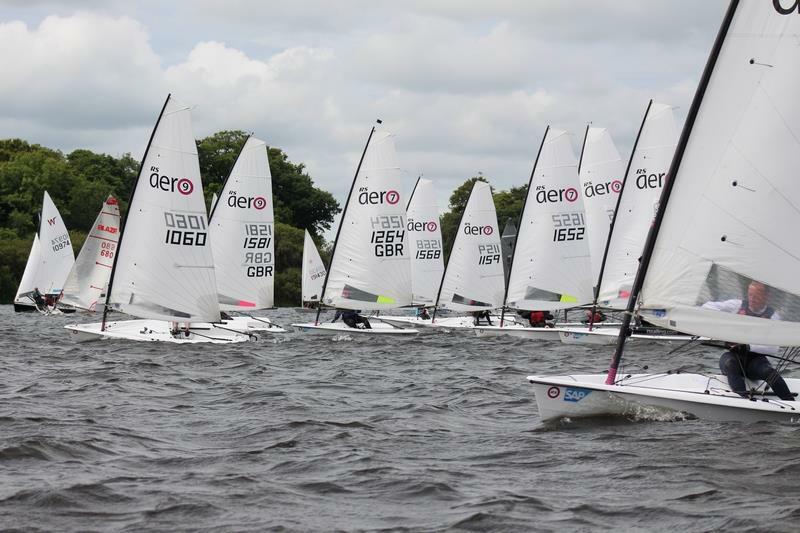 The RS Aero fleet were joined by Tom Penty from Beaver SC and Joe Watkins from Bassenthwaite SC who enjoyed sailing the two demo boats provided by RS. At the start of the first race we saw the wind drop dramatically which allowed the 9 rigs to gain ground on the rest of the fleet and those who did not achieve a good start to drift backwards in the lack of pressure. After around 10 minutes the wind began to fill in, however the bottom of the course remained very light and shifty. During this race it was essential to watch for the ever changing pressure and patches of wind as the conditions were only expected to improve later in the day. The clear winners of this race were Ben Rolfe in an RS Aero 9, followed by Ian McGonigal also in an RS Aero 9. After coming in to shore briefly, the second race was held as the wind was building. It was clear there was still less wind closer to the start line. However a change of the course resulted in a slightly more consistent breeze. Ben Rolfe also won this race, followed by Caitie Atkin who was using a 7 rig. The final race of the day took place as the wind had reached a very gusty and inconsistent force 4-6 which lead to many boats capsizing. These conditions began to favour those who had opted for a 7 rig opposed to the 9. The reaches and downwind legs were very fast and after hunting for gusts Caitie Atkin managed to catch up with Ben Rolfe and she took the lead on PY. Going into the final race Ben Rolfe was lying in first with two points and Caitie close behind with 3 points. Ian McGonigal was third with five points and Joe Watkins forth with six points so it was still all to play for. On the second day the wind was even greater than the day before and this combined with the huge gusts that covered the lake made for an extremely challenging last race. It was breeze on at the start and everyone had their sail controls on hard. The sailors had to adjust the conditions quickly and play the shifts as positions could change quickly within the fleet. At the windward mark it was Atkin that was first with a decent lead followed by Watkins in a 7 rig. Rolfe later took back his lead which he had at the start and was gaining ground all the time which left Atkin and Watkins battling for second. Every boat on the course capsized which was largely due to a long string of pressure on the eastern side of the lake. On the last upwind to the finish, the wind was building again and the shifts and gusts were becoming even harder to manage. It was unclear who would be the winner of the race as the PY system had still to come into play. As Ben Rolfe came in to the finish he was hit by a sudden change in pressure coming off the mountains which caused him to capsize. Atkin (by some miracle) managed to stay upright and she took the race, and the event. Ben Rolfe came second and Joe Watkins was third overall. We would like to thank Bassenthwaite SC for hosting us as part of their annual Bass Week, the race officers and the safety crew. We would also like to thank Ben Rolfe for bringing the demo boats and everyone else who helped make this event happen.